Here’s a number everyone interested in retirement should know: 15%. That’s the amount of income financial experts agree everyone should be saving to ensure they stay on track to retire with dignity. And it’s not just the experts. Most Americans know they ought to be saving for retirement, but few are saving enough. What’s behind that disconnect between what people say they want to do and what they actually end up doing? The gap between plans and performance continues because hitting wellness goals is always hard work. And putting off the big step of saving for retirement isn’t the only area of wellness where Americans procrastinate. The Gallup-Healthways Well-Being Index last year reported that although 55% of respondents want to lose weight, only 27% of those actually try. A 2015 study from the Centers for Disease Control and Prevention revealed that although 69% of adult cigarette smokers said they wanted to stop smoking, only 6% of that group actually quit. Those are big gaps, but there’s another even larger one that’s affecting company 401(k)s nationwide. Although 93% of Americans in 2014 told surveyors with Capital One ShareBuilder they want to save 10% or more for retirement, only 20% actually do. That’s a 73% gap between the wish and the follow-through! As is often the case with personal goals, taking better care of money requires employees to lay a solid foundation through basic behavior change. It isn’t that they plan to fail, but that they fail to plan. Just as most smokers know they ought to quit, most of your employees know the basic truth that they ought to do be saving more for retirement. But many of them lack the confidence they need to change the longstanding habits preventing them from starting. The trouble isn’t just with debt, or just with a lack of savings—there’s a lack of big-picture understanding. The basic failure to budget causes a desperate lifestyle for a lot of the people in your company. And the lack of budgeting know-how is not limited to those with fewer dollars—it applies across the range of incomes, with top earners often struggling just as much to make ends meet. A holistic financial wellness program makes the idea of budgeting accessible to your team by meeting them right where they are, regardless of income or debt levels. No one wins without a written plan and specific goals for their money. You need a program that is easy to follow, with fun and engaging content. It should guide them step by step along the way to financial wellness. Until your employees have such a plan, they won’t be sending any of their pay to the 401(k) your company offers so they can retire on time. If it were easy, everybody would do it. It’s not easy, but it is doable. 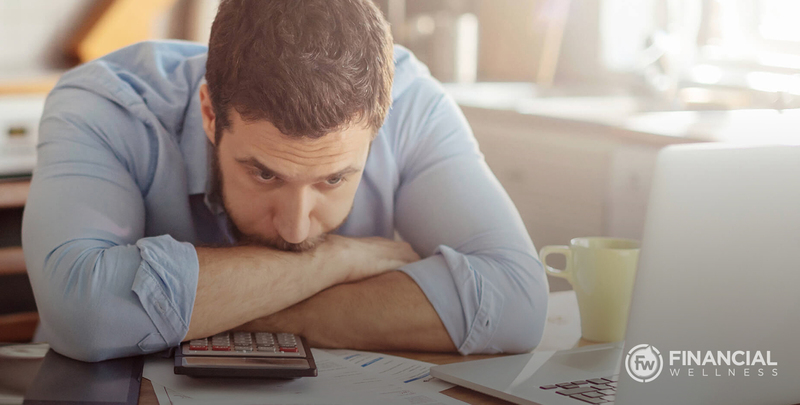 Loans taken from 401(k)s are a big problem for your company and your workers, but they're just a symptom of a deeper issue in the lives of your employees. Most companies focus on retirement planning, which is a worthy topic. But broke people simply don’t invest in retirement. That's why they need a program that meets them right where they are. There’s more to a solid retirement than enrolling in a company plan. One big key to any successful financial wellness program is how well you promote it to your team. Even a world-class program won’t benefit your business if no one knows about it.